We haven’t even had the Samsung Galaxy S9 yet but we’re already hearing rumors about the Samsung Galaxy S10, and early signs point to the phone using a 7nm Snapdragon 855 chipset. That theory is based on a comment made by a Qualcomm contractor who claimed to be working on just such a chip, as spotted by leaker Roland Quandt. Now, it’s no surprise at all that the Samsung Galaxy S10 will use the Snapdragon 855 (at least in some regions), since that’s likely to be Qualcomm’s top-end chipset at the time, but what is worth highlighting is that it’s said to be 7nm. That would make it smaller than the 10nm Snapdragon 845 destined for the Galaxy S9, which could allow for both improved performance and better efficiency, meaning whatever phone it’s in might not only be more powerful but also last longer between charges. This would probably be Qualcomm’s first 7nm chipset and one of the first from any manufacturer. 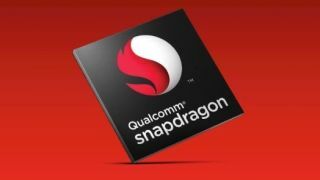 Quandt further notes that the chipset will probably use Qualcomm’s X24 modem, and that’s important too, as it supports theoretical download speeds of up to 2Gbps, up from the 1.2Gbps max of the X20 modem in the Snapdragon 845. So the Snapdragon 855 could be a significant upgrade all-round, but it’s worth noting that based on past form it will probably only be the US and China that gets this chip in the Galaxy S10, with other regions likely getting an Exynos chipset, and we don’t yet know what that will be capable of. Of course, it’s not just the S10 that will benefit from the Snapdragon 855 though, as many other flagships in 2019 will probably also use it.